The first thing to remember when decorating a buy to let property, is that you are not going to be living there. It can be difficult to put your own likes and dislikes to one side, but in this case, practicality must win out. Think instead about who you want to rent the property to, and decorate accordingly. 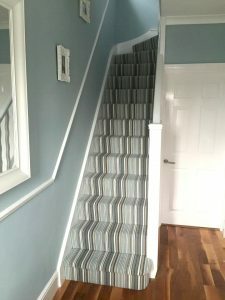 The standard of decorating expected by a working professional compared to a student will be considerably different and it is crucial to neither over nor under invest for either market. The return on investment will come in the market rent that you ultimately charge, but get it wrong and you could either have an empty property upfront or an unhappy tenant in the longer term. Here are a few areas where it’s definitely worth spending a bit extra to save money in the long run. Using paint that is room specific, (kitchen/bathroom etc.) will always last longer that a basic cheaper alternative. These paints are designed to be more durable and cope with moisture from showers and cooking splashes! It’s worth mentioning however that although you’ll want to keep the colour scheme neutral, whites and creams do not wear well, especially in a family home. 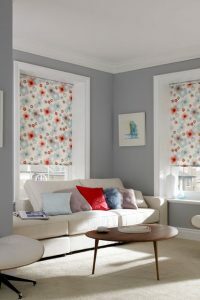 Light greys and browns are still neutral enough to appeal to most tenants but will show less wear. Light coloured and very cheap carpets are not going to wear well. Instead, go for slightly darker shades and spend that little bit extra to get hard wearing carpets especially in heavily used areas like hallways. Another cost effective solution is laminate flooring. It’s available in lots of different shades, is easy to replace and is easy to clean. It’s a great idea, where appropriate, to use tiles instead of paint. Tiles are much more durable and easily cleaned. Using a dark grout will keep them looking fresh for longer! Over and above any decorating that you undertake it is important to remember that wear and tear of fixtures and fittings will always occur in any property. Rental properties in particular will suffer from a higher level of wear and tear than a residential homes. Landlords do need to accept though that no matter how tidy or careful a tenant is, the property that they let out 12 months ago will not be in the same state when it is returned.